With more prosecutions and fines for un-notified abnormal loads taking place following interception by Police, VOSA or Trading Standards it’s important that your abnormal load notifications meet the legally required standards of the Special Types General Order of 2003 (the STGO). A Load off Your Mind? 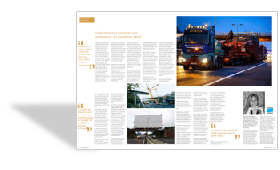 Managing the abnormal loads notification process is a costly exercise for all those involved. 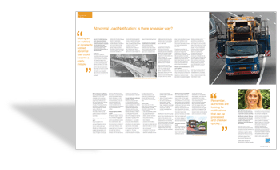 Whether you’re a Structure owning or a Police authority checking hundreds of notifications each week or a haulier trying to submit a short notice notification for that urgent job you just can’t afford to turn down, it costs both sides time and money. It adds nothing to the bottom line and doesn’t generate any revenue for either side of the fence. Yet it must be done to safeguard bridge and other structural assets valued at billions of pounds. It must be done to keep the traffic flowing and highways safe for other road users - if structures are damaged it’s a lengthy and disruptive exercise to repair them. 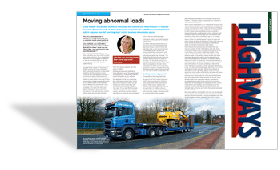 Clare Waterfall, Marketing Director of Cascade Software discusses the commercial requirements of hauliers to move abnormal loads at short notice and compares this with the current legislation which requires two full working days’ notice before a move takes place. You are a plant operator or haulier, it’s Friday lunchtime and a customer needs an excavator at site tomorrow morning. You have one available, you want Bob’s business. Do you say “no problem Bob, it’ll be there” or do you say “Sorry Bob, you can’t have it until next Wednesday”?